Continues the journey into the very evolutionary planetary aspects of this month September 2016. We therefore have arrived in the vicinity of the second portal, that of 18/09/2016 (999), just out of the Hall of Eclipse. All the movements we are feeling inside and see outside are meant to ferry us into a new self, which lies dormant within us. This Self is our brightest part, our inner angel who requires to remind us of its existence. Thanks to these steps we will be able to complete a process of awakening that began as early as 2012. We are landing on the New Earth, which is above all an inner magical place. 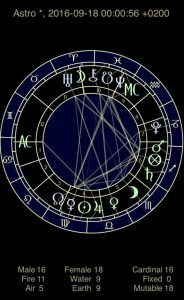 From the astrological point of view, this portal is characterized by masculine and powerful planetary aspects involving the Sun (vocation), Mars (action) and Uranus (flashing light) in the first place. 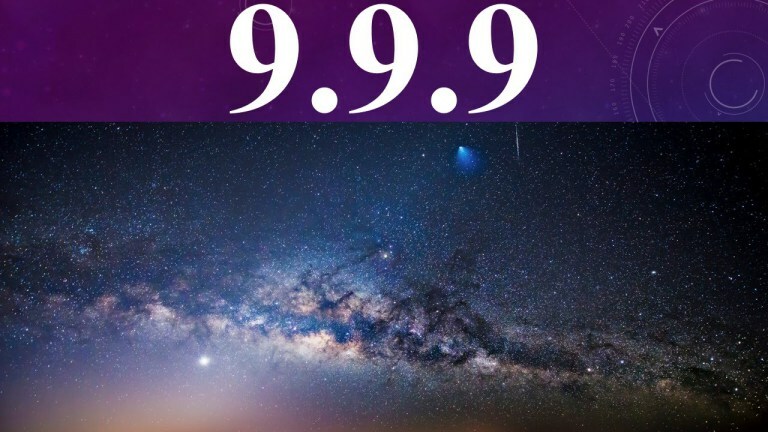 While in the First Portal 09.09.2016 planets gave shape to a real gateway to the new frequency of the Heart, this second one seems to be the integration of the same in individual and relational level, so to say collective. From Aries, the first cardinal sign, which acts as a door opener to what is to come, starts the ray of retrograde Uranus, planet of Light, which is to meet Venus in Libra (grace and harmony) to the same degree (23 °) . This activates the axis of the Relationship between “I Am and We Are”. And from here it all begins, from the level of the relationships that we weave with the loved ones. Uranus also forms a trine with Mars in Sagittarius (action aimed at the development of the mission of life), in its turn at 23°. The Male (Mars) and Female (Venus) are activated by the same frequency of Light to make peace between them, within us, in the alchemical marriage between the two cerebral hemispheres united through the body, and outside of us, which will show their weaknesses that can be seen and, if desired, healed. Its time to realize with sincere hart that the responsibility is always 50%. It ‘s time to unify the opposites within us. This is the greatest gift of the Second 999 Portal. The new heart frequency finds space inside a soul which tends to regard the unity as a life purpose. And everything is One and All existcs In the One. There are no separations. Thus we find the Peace within and thus to bring Peace outside. Another important aspect, is the opposition between the Sun (sense of self) at 25° of the Virgin and Chiron (healing karmic / Inner Child) retrograde at 22° Pisces. This is another great opportunity for healing, when the Sun, which is our conscious part, looks upon karma, everything that is heavy and that we do not love in ourselves. Every time that we behaved as if we were our greatest enemies, remaining in clearly uncomfortable situations from an emotional point of view or existential or professional and we felt helpless, frustrated and seemingly unable to move. Now we will see it, and by bringing light and awareness in the darkness, in that fear, in that terror, in that uncomfortablenes, we will learn to love it. It will melt in that light and slip away. Then we just have to wait for the completion of the integration process, letting our whole human system to be aware of the change of consciousness. And there it needs training: breathing, meditation, self-observation, silence. So we get out of the reactivity and get into the choice. Beyond that, Chiron retrograde is involved in a multiple aspect with Mars and Venus. The inner strength (Mars) will ensure that in the process of awareness you will not fall into being the victim, which is the appearance in the shade of Chiron. Mars in this case is the inner voice that gives us discipline and presence. As for the Chiron in Pisces / Venus in Libra, it is a magical Quincunx, to find our way back after having sought for an entire time. And it is the way of grace and harmony, which makes every pain vanish. It will be an interesting journey, during which everyone will find what he is looking for a long time. Have a nice trip!